If you love camping and falling asleep outside with the sounds of nature aiding your slow fall into unconsciousness, you absolutely have to try bivvying. It is like camping but on steroids. If you think that wild camping gives you a sense of freedom, when you sleep in your bivvy bag for the first time, you will have a different appreciation of that word. There is no time wasted putting the tent up or faffing with lots of kit, all you need to do is roll out your sleeping bag and you can fall asleep, counting all the stars as far as your eyes can see. And if you position your ''bed for the night'' just right, you may just wake up with the sun shining its first rays and bathing everything around you in a warm and optimistic glow. Or if you are like me, you wake up for a millisecond, roll over and go back to sleep! After my winter experience a few months ago, I though that it is about time to sweep the cobwebs of my bivvy bag and take it out for the night. With the forecast being so good recently, I had to take the opportunity. In the past I used to wake up a few times at night as I was aware of the exposure which feels a lot more heightened than in the tent but for some reason this is a thing of the past and nowadays I sleep like a log, whether I am in a tent or a bivvy. Being this exposed is not fun when it rains and I would always check the forecast beforehand, but if you know that the night will be dry, spending the night under the stars just makes sense. My first ever bivvy could not have been any better! 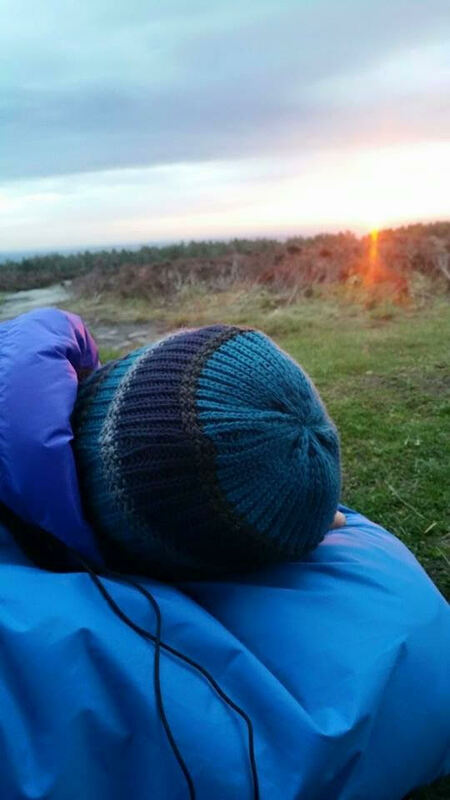 If time is one of those barriers that stop you from enjoying more adventures, sleeping out is the thing for you. Depending on where you live, all you need is a reasonable access to any kind of hill, some basic equipment and you are good to go. After work or a few spare hours late at night are all compatible with this type of micro adventure. You don't need to pre-plan or pre-book anything, you just walk out and find somewhere to sleep. That's it! All you need is pretty much the same set up as with camping but substitute the tent with a bivvy. I had this trio for a while and it keeps going strong, taking me through climbing and hiking adventures. 1. 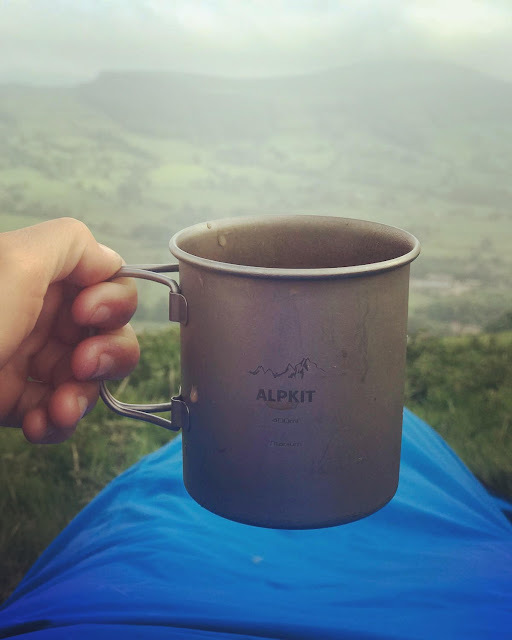 Bivvy Bag - I have the Alpkit Hunka- it is basically just a waterproof outer layer which keeps your sleeping bag dry. Simple and effective. 3. Ultra Light Roll Mat - super light and compact and in 3 years of serious use, it has never punctured despite the delicate materials it is made off. In this instance, we have bivvied in a spot which is less than 25 minute drive from where we live. We went for a leisurely dinner in a pub, and set off to find a suitable spot just after 9 pm. We packed light. We didn't need much and everything we took fitted in two small day packs. It felt so liberating to walk up without feeling weighted by big packs which seems to be the usual set up in my current adventures. We decided to hike up a hill that we have never been to whilst trying to find ''the spot''. And how do you know that you find the perfect place to stay for the night? You just know. We found one like that with no one in sight and views overlooking into the valley. By 9:45pm we were slouched on top of our sleeping bags and all of the stresses and worries of the day have melted away. The evening was so warm that I didn't need the down jacket I packed just in case but it sure made a good pillow! I took a book with me and I was planning on reading for a while. It must be the fresh air or something but whenever I camp, I always fall asleep before everyone else and it was no different this time, I was asleep pretty much before the sun was completely set. I find that sleeping outside really connects me with myself. I just switch off. And bivvying makes the feeling even stronger. Just a little bit of effort makes you feel like you really had an adventure! Seriously, go and see for yourself, it is really that amazing. Anyone else lists morning cup of tea as the essential component of a good day? The etiquette with bivvying is that you should get up at crack of dawn so that no one finds you sleeping out. It was pretty secluded where we were so after leisurely cup of tea (1 hour) and some banana bread breakfast we finally packed up (5 minutes) and off we went feeling smug that we have made the most out this beautiful summer night. I haven't generated any trash in the process of this little adventure. It may not seems that remarkable but I know for a fact that it was different in the past for me as even a single night camping created plastic packaging. The few snacks that we took came in reusable containers and tea leaves were composted. 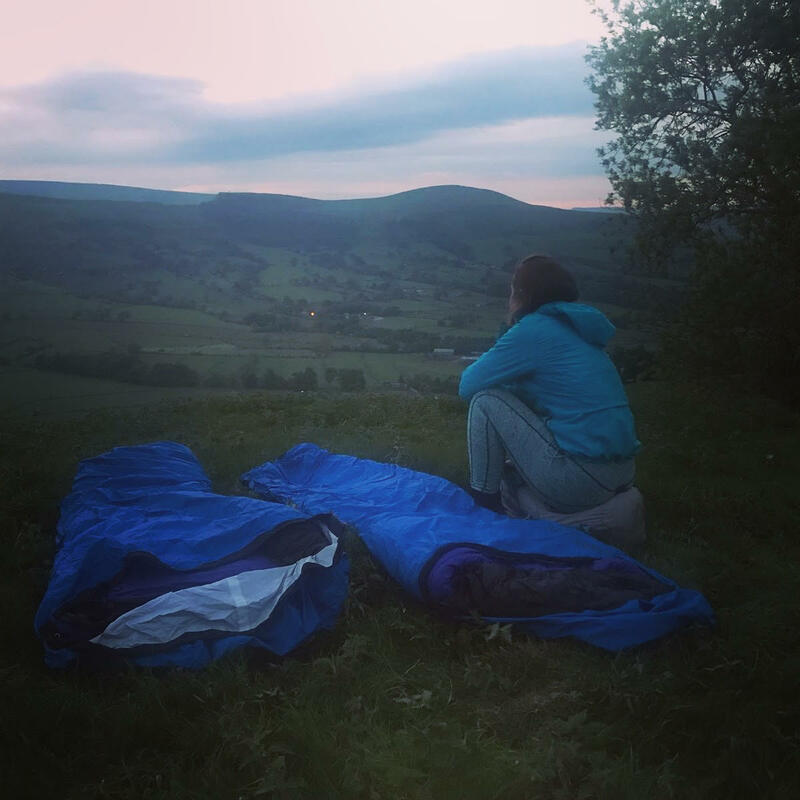 Wild camping is technically not allowed in England and Wales unless you have permission of the owner which is sometimes difficult and not practical to obtain. If you do decide to go and bivvy, read this article which will explain the do's and don't. In a nutshell, don't leave anything behind, be respectful, pitch far away from houses, and even better pick up any trash that you see on the way. Wild camping and bivvying in general provides one of the best experiences that you can have in the outdoors and myself and other people share this idea that we should enjoy it but have respect towards the landowners and the environment. A great read. Never been out in a bivvy before, something for the bucket list.